Agent comments: autonomous gas supply, gas supply, gas holders. Client Zhuhlistov A.N. (Order №3678/1-5, Bavykino village, Chekhovsky district, Moscow region, RUSSIA) gave “Bonus” to agent Avanesov V.I. No comments. My appreciations to Tegin A.A. and to foreman Andrey who realized connection; they worked competently, explained everything well and advised how to do; all the documents were registered fast and, in general, everything was made well. Client Gladchenko O.A. (Order №3785/2-8, Shulgino village, Ostashevskoye town, Volokalamsky district, Moscow region, RUSSIA) gave “Bonus” to agent Tegin A.A. No comments. Client Stolyankov A.V. (Order №3816/1-3, Posedkino village, Mytischinsky district, Moscow region, RUSSIA) gave “Bonus” to the quality of mounting/service works (Foreman: Fedorov I.A.). No comments. Client Stolyankov A.V. (Order №3816-2, Posedkino village, Mytischinsky district, Moscow region, RUSSIA) gave “Bonus” to the quality of mounting/service works (Foreman: Fedorov I.A.). No comments. To provide complete package of works including digging. There should be “key ready” solution to be proposed. Client Stolyakov A.V. (Order №3816/2-5, Posedkino village, Mytischinsky district, Moscow region, RUSSIA) gave “Normal” to agent Avanesov V.I. No comments. Client Bedretdinov D.R. (Order №3817-2, Ramensky district, Moscow region, RUSSIA) gave “Normal” to the quality of mounting/service works (Foreman: Fedorov I.A.). No comments. Client Kondrashova T.V. (Order №3775-2) gave “Normal” to the quality of mounting/service works (Foreman: Kuzmin V.N.). No comments. Client Savrasov B.E. (Order №3784-5, Vysokovo village, Istrinsky district, Moscow region, RUSSIA) gave “Normal” to the mounting/service works (Foreman: Zhadobin I.V.). No comments. Client Savrasov B.E. (Order № 3784-4, Vysokovo village, Istrinsky district, Moscow region, RUSSIA) gave “Penalty” to the quality of mounting/service works (Foreman: Zhadobin I.V.). No comments. Client Moisenko E.P. (Order №3809-2) gave “Bonus” to agent Avanesov V.I. No comments. Client Nikishina O.B. (Order № 3769-2, Letniy Otdykh town, Odintsovsky district, Moscow region, RUSSIA) gave “Normal” to agent Erokhin A.V. No comments. All necessary consultations were received on time. Fast response to requests. Client Valitova T.V. (Order №3293-9, Ogneuporschik-3 town, Moscow region, RUSSIA) gave “Normal” to agent Tegin A.A. No comments. Client Uzeneva A.A. (Order №3742-1, Odintsovsky district, Moscow region, RUSSIA) gave “Bonus” to the quality of mounting/service works (Foreman: Kuzmin V.N.). No comments. Client Alihashkin S.A. (Order №3763-2, Troitsk, Moscow region, RUSSIA) gave “Bonus” to the quality of mounting/service works (Foreman: Krasnov S.V.). No comments. Client Protas’ I.I. (Order №3721-2, Detkovo village, Chekhov district, Moscow region, RUSSIA) gave “Bonus” to the quality of mounting/service works (Foreman: Kuzmin V.N.). No comments. Client Petrovich A.I. (Order №3734-2, Rakovo village, Istrinsky district, Moscow region, RUSSIA) gave “Bonus” to agent Erokhin A.V. No comments. Client Starostin S.A. (Order №3718-1, Strygino village, Ruzsky district, Moscow region, RUSSIA) gave “Normal” to the quality of mounting/service works (Foreman: Zhadobin I.V.). No comments. Client Morozyuk S.M. (Order №3715-1, Ugrumovo village, Odintsovsky district, Moscow region, RUSSIA) gave “Bonus” to the quality of mounting/service works (Foreman: Zhadobin I.V.). No comments. Avanesov V.I. is very educated sales manager. He explained operation principles of gas tank very competently and easy to understand; he helped with choice of volume and prepared quotation without any delay. In general I’m happy about everything. Mounting is high-quality and realized Fast without any discussions and smoke breaks; I appreciate realized work. Client Kurushin A.V. (Order №3689-4, Verevskoye village, Solnechnogorsky district, Moscow region, RUSSIA) gave “Bonus” to the quality of mounting/service works (Foreman: Zhadobin I.V.) No comments. Client Kurushin A.V. (Order №3689-1, Verevskoye village, Solnechnogorsky district, Moscow region, RUSSIA) gave “Bonus” to the quality of mounting/service works (Foreman: Kizmin V.N.) No comments. Client Kurushin A.V. (Order №3689-5) gave “Bonus” to the quality of mounting/service works (Foreman: Zhadobin I.V.) No comments. Client Kurushin A.V. (Order №3689-2, Verevskoye village, Solnechnogorsky district, Moscow region, RUSSIA) gave “Bonus” to the quality of mounting/service works (Foreman: Zhadobin I.V.) No comments. Notably inconvenient to make cashless prepayment through Alfa bank. In case of Sberbank I could make you transfer from any corner in any city, but here I lost a whole day to reach Alfa. Then I spent some time in a queue and made a transfer with old passport. It’s very inconvenient. Delayed the delivery of the equipment. Nice and considerate attitude to a client. Client Rudakov S.N. (Order №3522-1, Moscow, Naro-Fominsky district, Moscow region, RUSSIA) gave “Bonus” to the quality of mounting/service works (Foreman: Pochechihin V.N.). No comments. Kindness, respect for a Client, detailed explanation of all technical questions. High quality of all the works including careful cleaning of the working places. Efficiency and competence in solution of all questions beginning from the visit to the object where the gas tank will be installed to its mounting and ground works on the object. Assistance in organization of follow-up works which are connected with heating of residential house. Advises and recommendations in exploitation of gas-filling and heating equipment. Client Bobrov G.V. (Order №3274-6, Novorizhsky oazis tow, RUSSIA) gave “Bonus” to agent Tegin A.A. No comments. Client Bobrov G.V. (Order №3274-5, Novorizhsky oazis tow, RUSSIA) gave “Bonus” to agent Tegin A.A. No comments. Client Bobrov G.V. (Order №3274-4, Novorizhsky oazis tow, RUSSIA) gave “Bonus” to agent Tegin A.A. No comments. Client Bobrov G.V. (Order №3274-2, Novorizhsky oazis tow, RUSSIA) gave “Bonus” to the quality of mounting/service works (Forehead: Moiseev S.V.). No comments. Client Bobrov G.V. (Order №3274-5, Novorizhsky oazis tow, RUSSIA) gave “Bonus” to the quality of mounting/service works (Foreman: Zhadobin I.V.) No comments. Client Semochkin A.S. (Order №3646-3, Trunevki town, Dmitrovsky district, Moscow region, RUSSIA) gave “Normal” to the quality of mounting/service works (Foreman: Zhadobin I.V.) No comments. Client Semochkin A.S. (Order №3646-4, Trunevki town, Dmitrovsky district, Moscow region, RUSSIA) gave “Bonus” to the quality of mounting/service works (Foreman: Zhadobin I.V.) No comments. Client Ludikaynen A.V. (Order №3375/1-6, Sorokino-3, Mytischinsky district, Moscow region, RF) gave “Bonus” to agent Avanesov V.I. No comments. Client Prigoda A.P. (Order №3479/1-3, Nikolskoye village, Odintsovsky district, Moscow region, RUSSIA) gave “Bonus” to the quality of mounting/service works (Foreman: Zhadobin I.V.). No comments. Client Knyazeva L.A. (Order №3595-3, Poshatovo town, Arzamassky district, Nizhny Novgorod region, RUSSIA) gave “Bonus” to the quality of mounting/service works (Foreman: Petrov S.B.). No comments. Client Bobrov G.V. (Order №3274-4, Novorizhsky oazis town, RUSSIA) gave “Bonus” to the quality of mounting/service works (Foreman: Zhadobin I.V.). No comments. Everything is wonderful. The work was done neatly, clear. In one word, good guys! Client Koryagin M.M. (Order №3639-3, Ryzhevo village, Egoryevsky district, Moscow region) gave “Normal” to agent Avanesov V.I. No comments. Client Subbotin A.G. (Order №3494-5, Sovhoz Arhangelskiy town, Naro-Fominsky district, Moscow region, RUSSIA) gave “Bonus” to the quality of mounting/service works (Foreman: Zhadobin I.V.). No comments. Client Poltavtsev A.G. (Order №3301-3, Mytischi, Moscow region, RUSSIA) gave “Bonus” to agent Tegin A.A. No comments. Client Karaseva L.T. (Order №3473/2-3, Krasnaya Polyana, Solnchegorsky district, Moscow region, RUSSIA) gave “Bonus” to the quality of mounting/service works (Foreman: Pochechikhin V.N.). No comments. Client Soldatkina N.L. (Order №3426-1, gardeners' non-commercial partnership “Dubki”, Tsukanovo village, Mozhaysky district, Moscow region, RUSSIA) gave “Normal” to the quality of mounting/service works (Foreman: Zhadobin I.V.). No comments. Client Shibanov S.A. (Order №3631-2, Grigorov village, Ruzsky district, Moscow region, RUSSIA) gave “Bonus” to the quality of mounting/service works (Foreman: Kasyanov N.S.). No comments. Client Subbotin A.G. (Order №3494-5, Sovhoz Arhangelskiy town, Naro-Fominsky district, Moscow region, RUSSIA) gave “Normal” to agent Erokhin A.V. No comments. Competence, professionalism, and ability to explain the client what’s going on during the mounting. I liked that the cost of the works indicated in the contract wasn’t increased after all the cervices were rendered, as it usually happens. If the “earthmoving” and preparatory works were realized also by the contractor and if the price wasn’t too much different from the cost of the cervices rendered by guest workers’, consumers could save a bunch of nerves. Client Pushkin Y.A. (Order №3455-7, Mednoye town, Tver region, RUSSIA) gave “Penalty” to the quality of mounting/service works (Foreman: Pochechekhin V.N.). No comments. Client Zhuravlenko A.I. (Order №3397-3, Cottage town “Morozovskiye usadby”, Moscow region, RUSSIA) gave “Normal” to the quality of mounting/service works (Foreman: Zhadobin I.V.). No comments. Client Leontieva O.M. (Order №3474-1, Ulitino village, Odintsovsky district, Moscow region) gave “Normal” to agent Tegin A.A. No comments. Client Leontieva O.M. (Order №3474-7, Ulitino village, Odintsovsky district, Moscow region) gave “Normal” to agent Tegin A.A. No comments. Client Ides V.Y. (Order №3462-2, Hodaevo village, Chekhov district, Moscow region, RUSSIA) gave “Normal” to agent Tegin A.A. No comments. Client Sakva E.V. (Order №3472-1, Slobodka village, Moscow region, RUSSIA) gave “Normal” to agent Tegin A.A. No comments. Client Sviridov G.A. (Order №3094-14, Marino-Znamenskoye village, Moscow region, RUSSIA) gave “Normal” to agent Erokhin. No comments. Client Dmitriev G.P. (Order №3352-3, Troitskoye village, Odintsovsky district, Moscow region) gave “Bonus” to the quality of mounting/service works (Foreman: Moiseev S.V.). No comments. Client Dmitriev G.P. (Order №3352-6, Troitskoye village, Odintsovsky district, Moscow region) gave “Bonus” to the quality of mounting/service works (Foreman: Moiseev S.V.). No comments. Client Dmitriev G.P. (Order №3352-5, Troitskoye village, Odintsovsky district, Moscow region) gave “Bonus” to the quality of mounting/service works (Foreman: Moiseev S.V.). No comments. Client Dmitriev G.P. (Order №3352-1, Troitskoye village, Odintsovsky district, Moscow region) gave “Bonus” to the quality of mounting/service works (Foreman: Moiseev S.V.). No comments. Client Nesterov M.S. (Order №3333/2-8, Zhostovo village, Mtischinsky district, Moscow region, RUSSIA) gave “Bonus” to the quality of mounting/service works (Foreman: Zhadobin I.V.). No comments. Client Morgun V.A. (Order №3421-1) gave “Bonus” to agent Morgun A.A. No comments. Client Mavlonazarov S.K. (Order №3225-7, Yuzhnoye Butovo, Moscow) gave “Bonus” to agent Kuzmin V.N. No comments. Client Palaschenko D.V. (Order №3446-3, Maryino village, Lomonosov district, Leningrad region, RUSSIA) gave “Bonus” to the quality of mounting/service works (Foreman: Shelygin S.V.) No comments. I received required result from the work and from the communication. Everything is exact, in a businesslike manner and what is the most important – it works! Efficiency and readiness to repair damaged paint on the hatch. Fire him and it will be easier for you. Client Lozinsky G.Z. (Order №3425-1) gave “Bonus” to agent Avanesov V.I. No comments. Everything was made fast and of high quality, I hope. Client Kizluk A.I. (Order №3534-2, Goretovka village, Moscow region, RUSSIA) gave “Bonus” to agent Erokhin A.V. No comments. Client Kislyunina I.V. (Order №3447-4, Nizhny Novgorod, RUSSIA) gave “Bonus” to the quality of mounting/service works (Foreman: Petrov S.B.) No comments. Client Bogdanov P.A. (Order №3342-3, 453259, Salavat, Republic of Bashkortostan, RUSSIA) gave “Penalty” to the quality of mounting/service works (Foreman: Petrov S.B.). No comments. Client Nesterov M.S. (Order №3333/2-10, Zhostovo village, Mytishchensky district, Moscow region, RUSSIA) gave “Bonus” to the quality of mounting/service works (Foreman: Zhadobin I.V.). No comments. Client Kiselev M.V. (Order №3379-1, Plaksinino village, RUSSIA) gave “Bonus” to the quality of mounting/service works (Foreman: Zhadobin I.V.). No comments. Client Shatunov A.V. (Order № 3280-3, Rusinovo village, Kaluga region, RUSSIA) gave “Bonus” to agent Avanesov V.I. No comments. Client Kazarnovsky A.M. (Order №3568-1, Marushkino village, Naro-Fominsky district, Moscow region, RUSSIA) gave “Bonus” to the quality of mounting/service works (Foreman: Zhadobin I.V.). No comments. Client Kulibabin V.A. (Order №3588-5, Zelenogradsky town, Pushkin district, Moscwo region, RUSSIA) gave “Normal” to the quality of mounting/service works (Foreman: Zhadobin I.V.). No comments. Client Kulibabin V.A. (Order №3588-7, Zelenogradsky town, Pushkin district, Moscwo region, RUSSIA) gave “Normal” to the quality of mounting/service works (Foreman: Zhadobin I.V.). No comments. Client Kulibabin V.A. (Order №3588-6, Zelenogradsky town, Pushkin district, Moscwo region, RUSSIA) gave “Normal” to the quality of mounting/service works (Foreman: Zhadobin I.V.). No comments. Client Kulibabin V.A. (Order №3588-11, Zelenogradsky town, Pushkin district, Moscwo region, RUSSIA) gave “Normal” to the quality of mounting/service works (Foreman: Zhadobin I.V.). No comments. I’m always asked which company installed a gas tank. I recommend to everybody your company. Client Bryantsev S.N. (Order №3259-2, Solntsevo, Moscow region, RUSSIA) gave “Penalty” to agent Tegin A.A. No comments. Good and clear work of the professional. Client Ludikaynen A.V. (Order №3375-2, Sorokino-3, Mytishchensky district, Moscow region, RUSSIA) gave “Bonus” to the quality of mountingservice works (Foreman: Zhadobin I.V.). No comments. Client Kuzina L.O. (Order №3206-2, Bakeevo village, Zelenograd, RUSSIA) gave “Normal” to agent Kuznetsov V.P. No comments. Client Mantach V.V. (Order №3243-7) gave “Normal to the quality of mounting/service works (Foreman: Zhadobin I.V.) . No comments. Client Mantach V.V. (Order №3243-3, Alekseevo village, Moscow region, RUSSIA) gave “Normal” to the quality of mounting/service works (Foreman: Moiseev S.V.). No comments. 1. Merloni gas tanks have hatchway where valves, reducing gear and manometers are hermetically placed. Horizontal ones have non-hermetical hatchway where ground waters might get in; as a result in winter period charging and checking are not possible. 2. In our climatic conditions freezing of vertical gas tank is not possible because it is place in the depth of 2,5 meters so, the freeze up of liquefied gas will not occur. 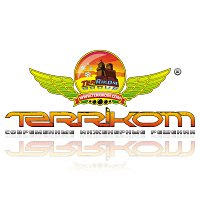 An agent from “Terrikom” Company Erokhin A.V. worked out very fast. On Monday, 09.09.13 I paid an order №3534-1, the next day, 10.09.13 it was delivered, mounted and charged. Client Nesterov M.S. (Order №3333/2-8, Zhostovo village, Mytishchensky district, Moscow region, RUSSIA) gave “Bonus” to agent Tegin A.A. No comments. Client Truhtanov S.I. (Order №3330-7, Vostryakovo town, Domodedov district, Moscow region, RUSSIA) gave “Penalty” to agent Erokhin A.V. No comments. Client Ovezov A.K. (Order №3222/2-7, Nazaryevo village, Narofominsky district, RUSSIA) gave “Normal” to the quality of mounting/service works (Foreman: Moiseev S.V.). No comments. Took an active part in problem solutions with delivery of the gas tank to the client. Client Orlov S.A. (Order №3156-3, Zheduchi settlement, Naro-Fominsky district, Moscow region, RUSSIA) gave “Bonus” to agent Erokhin A.V. No comments. Client Zapravsky E.A. (Order №3121-7, Golovino village, Istrinsky district, Moscow region, RUSSIA) gave “Penalty” to agent Erokhin A.V. No comments. The work is made fast, according to my preferences and high quality. Client Kulibabin V.A. (Order №3588-11, Zelenogradsky town, Pushkin district, Moscow region, RUSSIA) gave “Normal” to agent Kuzmin V.N. No comments. Client Kravtsov Y.I. (Order №3380-4) gave “Bonus” to agent Avanesov V.I. No comments. Client Babintsev B.E. (Order №3152/1-5, Kaluga) gave “Normal” to agent Tegin A.A. No comments. Client Morochkovskaya V.P. (Order №3135-2, Gorbovo village, Klin district, Moscow region, RUSSIA) gave “Bonus” to agent Erokhin A.V. No comments. Client Zapravsky E.A. (Order №3121-5, Golovino village, Istrinsky district, Moscow region, RUSSIA) gave “Penalty” to agent Erokhin A.V. No comments. Client Ashmanov I.S. (Order №3124-5, Sidorenki village, Serpukhov district, Moscow region, RUSSIA) gave “Bonus” to agent Erokhin A.V. No comments. Client Zapravsky E.A. (Order №3121-2, Golovino village, Istrinsky district, Moscow region, RUSSIA) gave “Penalty” to agent Erokhin A.V. No comments. I wrote everything in the comments. Client Sviridov G.A. (Order №3094-2, Moscow, Moscow region, RUSSIA) gave “Penalty” to agent Kuzmin V.N. No comments. Client Sviridov G.A. (Order №3094-12, Maryino-Znamenskoye village, Moscow region, RUSSIA) gave “Penalty” to agent Erokhin A.V. No comments. Client Sviridov G.A. (Order №3094-11, Maryino-Znamenskoye village, Moscow region, RUSSIA) gave “Penalty” to agent Erokhin A.V. No comments. Assembled heating; after everything was assembled it didn’t work, the radiators didn’t make warm; said that nothing would operate in spite the money had been already paid. After long lasting internal squabbles and shouts there was found out that it was a filter plugged up and which was installed also by them. Assembled heating operated poorly during 2 years. There were permanent leakages. Hot water boiler was installed out of all possible physics rules. Only real professionals came and arranged everything. Only now everything operates well. Assembled heating operated poorly during 2 years. There were permanent leakages. Hot water boiler was installed out of all possible physics rules. Only real professionals came and arranged everything. Only now everything operates well. Client Ludikaynen A.V. (Order №3375-2, Sorokino-3, Mytischinsky district, Moscow region, RF) gave “Bonus” to agent Avanesov V.I. and left comments. Client Ludikaynen A.V. (Order №3375-1, Sorokino-3, Mytischinsky district, Moscow region, RF) gave “Bonus” to agent Avanesov V.I. No comments. Politeness, kindness, responsibility, professional behaviour. Wonderful professional, very accurate and kind man! He makes his work always perfect. Client Ovezov A.K. (Order №3222/2-6, Nazaryevo village, Narofominsky region, RUSSIA) gave “Normal” to agent Tegin A.A. No comments. Client Ovezov A.K. (Order №3222/2-7, Nazaryevo village, Narofominsky region, RUSSIA) gave “Normal” to agent Tegin A.A. No comments. I still don’t know what to do with the water heater. It freezes… Shoots… you could have informed me in advance that it would not warm-up by itself. Client Mantach V.V. (Order №3243-6, Alekseevo village, Moscow region, RUSSIA) gave “Normal” to agent Tegin A.A. No comments. Client Gavrilov E.A. (Order №3236/1-5, Moscow, RUSSIA) gave “Penalty” to agent Tegin A.A. No comments. Client Zaykov O.E. (Order №3238-1, gardeners' non-commercial partnership “Ostrovok”, Pobedilovo village, Privolzhsky District, Kazan region, RUSSIA) gave “Bonus” to agent Erokhin A.V. No comments. Delivery and mounting of the gas tank were made on time and in high quality in spite of the fact that we had to solve many organizational issues and realize works in complicated weather conditions. I would like to note professional approach of the company representative Kutygin P.I. and professionals in equipment mounting. All the best to you and new clients! Thank you! Hello! I’m very satisfied! Everything was clear, on time and fast. There were some difficulties with the access for the mounting but they were solved without any “naughtiness” although we took some pains. Hello! Thank you so much! Your agent Kuzmin V.N. works fast and professionally. I’m very satisfied by the work of engineer Erokhin from Merloni Company. This is exceptionally intelligent and smart engineer; all his advises were logic and directed to reach optimal results. Mounting of the gas tanks was in complicated conditions (rains, ground waters, electricity breaks, and scandalous neighbors) but it was realized exactly on time. Thank you! Making-out of a budget and modifications there were doing fast! Delivery of the equipment was exactly on time! But on the stage of mounting there appeared some difficulties! Installation staff was postponing exit date so, I had to call to the office and argue! Not chip at all for such service! Victor Nikolaevich Kuzmin, registrating an order for purchase and mounting of a gas tank provided me with quit full technical consultation in all questions which were interesting for me as a client. Moreover, he advised me during the mounting works. I think that he is quit qualified agent who is ready to provide with consultation in all possible questions. As for the order №3219/1-6 for the diagnostic of installed equipment (gas tank). The work was made of high quality; there was checked gas output pressure from the gas tank. An agent who came to realize an order arrived exactly on time (8:00), he was polite and done the work according to my order well. Sincere regards, Tsygankova L.P.